Allen & Unwin presents a project of national importance more than 6 years in the making. 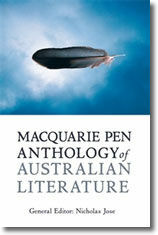 The Macquarie PEN Anthology is a celebration of a rich, living literature. 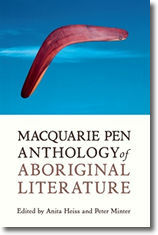 Some of the best, most significant writing produced in Australia over more than two centuries is gathered here in this landmark anthology. From fiction, poetry and drama to diaries, letters, essays and speeches, the anthology maps the development of one of the great literatures in English in all its energy and variety. 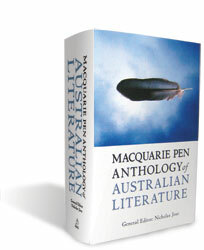 From vivid settler accounts to haunting gothic tales, from raw protest to feisty urban satire and playful literary experiment, from passionate love poetry to moving memoir, the Macquarie PEN Anthology of Australian Literature reflects the creative eloquence of our nation. Over 1500 pages, over 500 literary works and over 300 authors. *A portion of all royalties goes to the International PEN Sydney Centre.